Not Verified | It is hot, and the American terminal closed for 5 hours as did all the resturants and shops. You get to sit outside. Awful!! I won’t be back to Kona because of this awful little place. Poor Kona residents. Why don’t you upgrade to the year 2018. Ridiculous! Not Verified | I’ve flown to many small airports around the world that I would much prefer to this miserable place. I will actually avoid flying into this place and fly to Hilo if I ever return to the big island. I would list all the faults but it’s easier to list the positive elements, there are none. Do yourself a favor and avoid KOA! ✅ Trip Verified | What a shambles! Despite requesting a wheelchair for my elderly none was forthcoming at the check in desk. After waiting nearly an hour we gave up. There wasn't even a seat where we could wait. We struggled through security without any assistance and got through to the gate. To be fair the ground staff there were fantastic and found a wheelchair immediately. 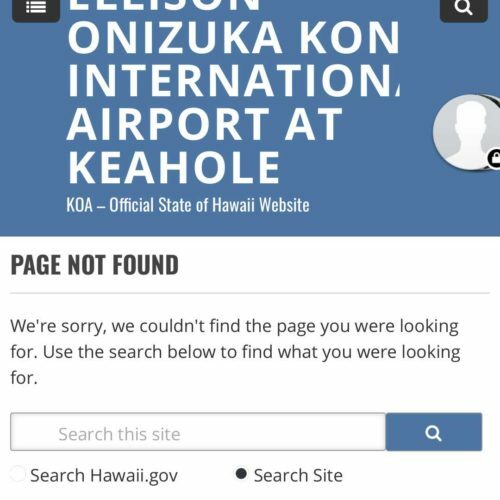 When I went to the airport website to check their policy for passengers requiring assistance I got a "Page Not Found" message. Why am I not surprised. In this day and age I really expect better customer service than this for a passenger with special needs. "could have more places to sit down"
❎ Unverified | Typical smallish airport in a tropical location. Open air terminal and very quick for us to get to our gate. No long lines. It could have more places to sit down I guess. There are limited shops and places to eat. Shuttle buses to rental cars are close by. I like it here. 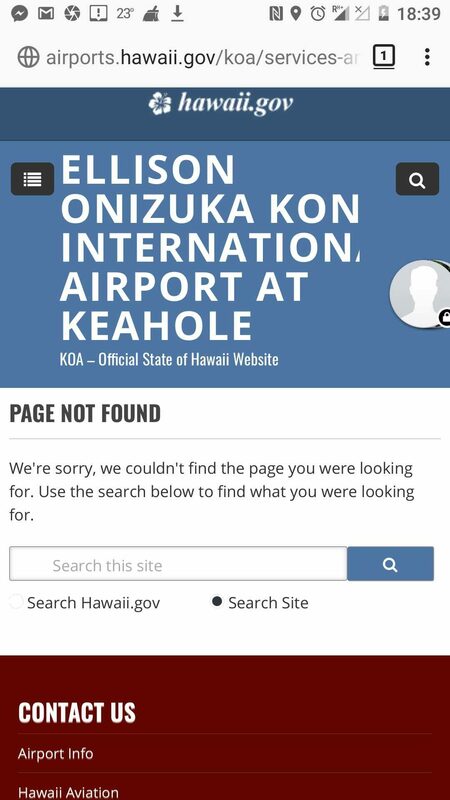 Dreadful airport especially when you consider who it serves: basically rich locals who can afford to live in Hawaii and tourists like myself coughing up $450-700 a night for a hotel on the Kohala Coast! The check-in area is very crowded and confusing. You hand your bag to a TSA representative through a door after going through the check-in procedure with the airline. The TSA security check had only two people checking passports and two lanes of screening machines and there was a line. It is an outdoor airport sitting on top of a dried up lava flow where it is usually sunny (imagine the heat!). Reminded me of how a cute small open-air airport like the one at Kho Samui works and this one does not. Sadly the one in Hilo isn't much better. Very small airport all facilities outside no television screens or boards to announce arriving and departing flights or gates no jetways and very limited food choices. Think of it as a kind of "traveling back in time" experience - in this airport you could easily imagine yourself to be in the 1960's if not earlier. A great place to produce a film about the transition from the propeller age to the jet age. Not such a great place to sit around for two hours waiting for a connection. Smaller airport with almost all facilities outside. If it's a very warm or hot day passengers especially those waiting for departing flights can be uncomfortable. Limited seating. 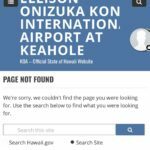 If one is flying to a destination outside of Hawaii you need to first send bags through agricultural inspection. This area can be crowded and confusing but a porter helped a great deal. Very limited choices to get anything to eat or drink.